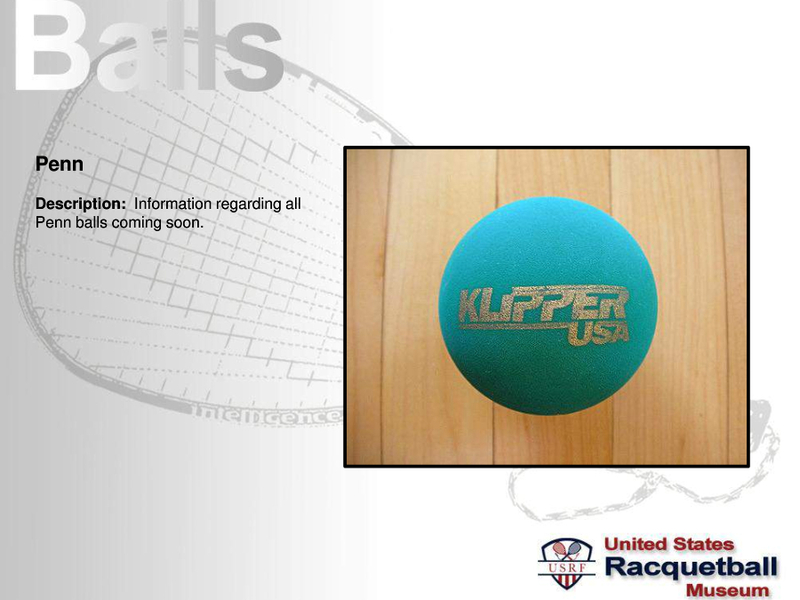 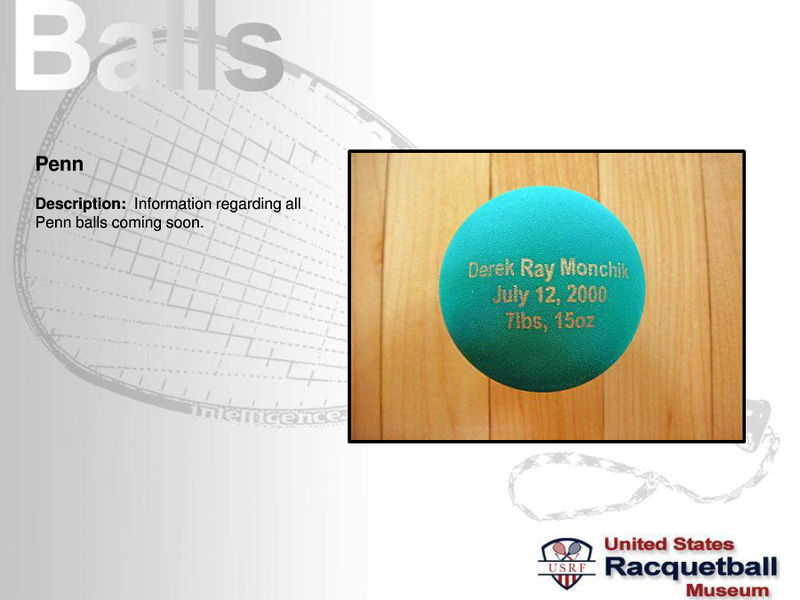 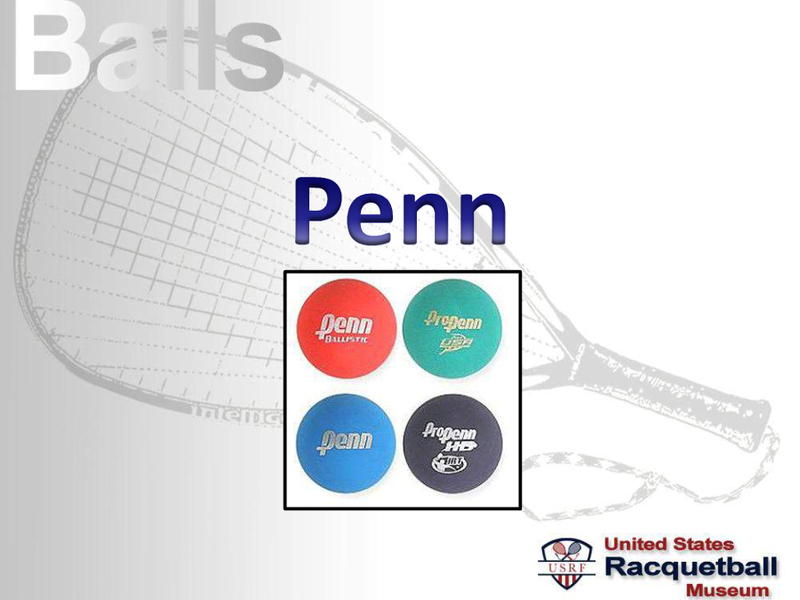 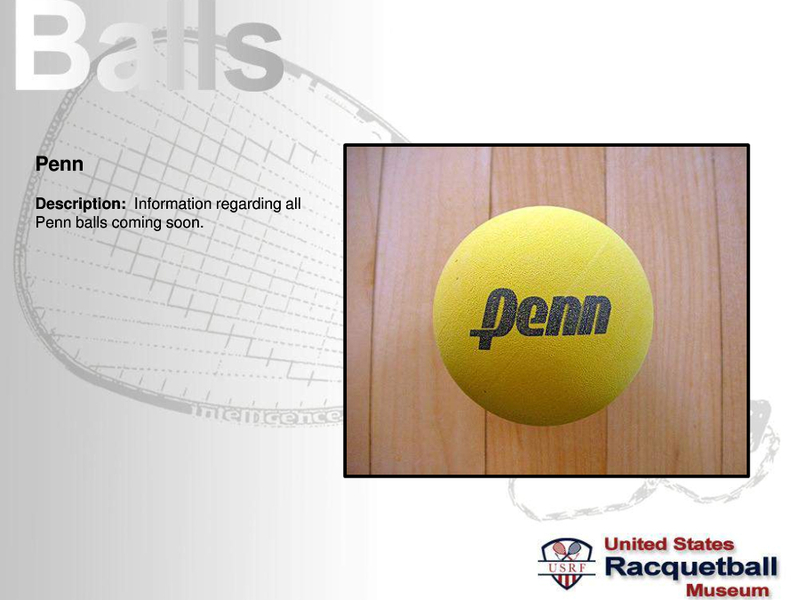 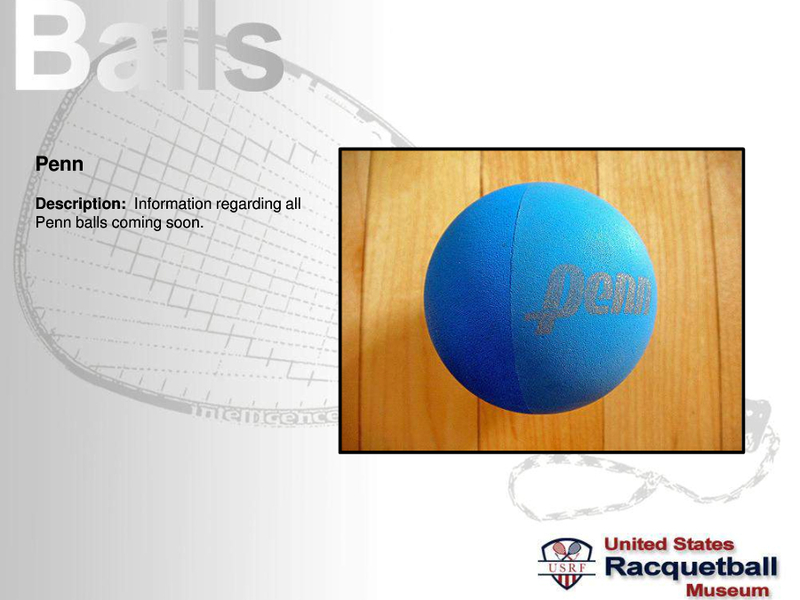 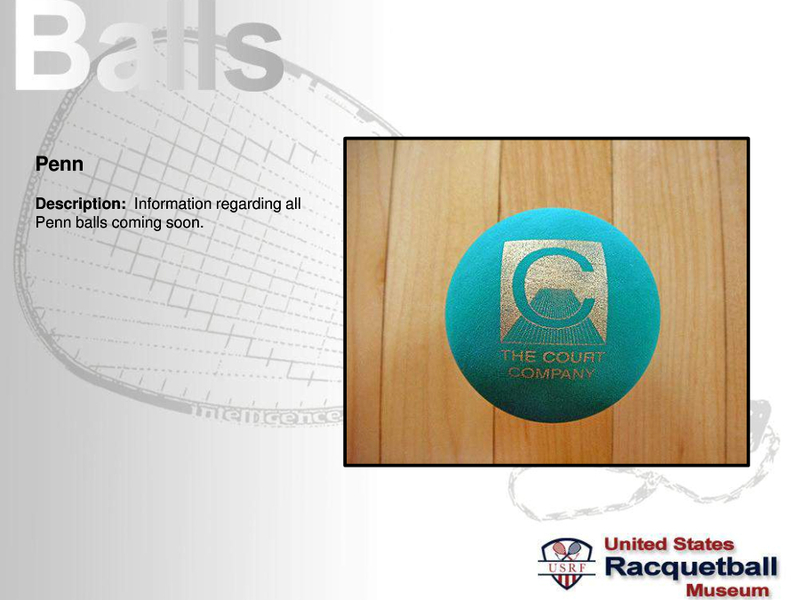 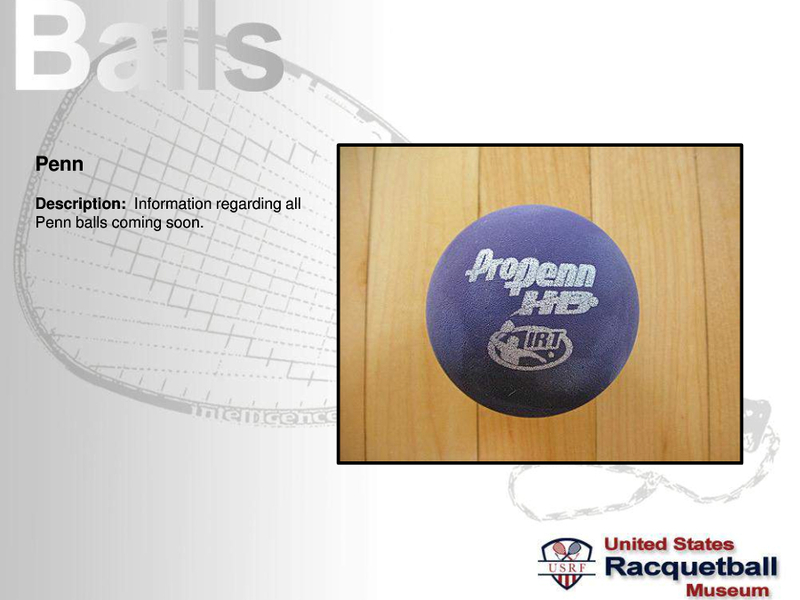 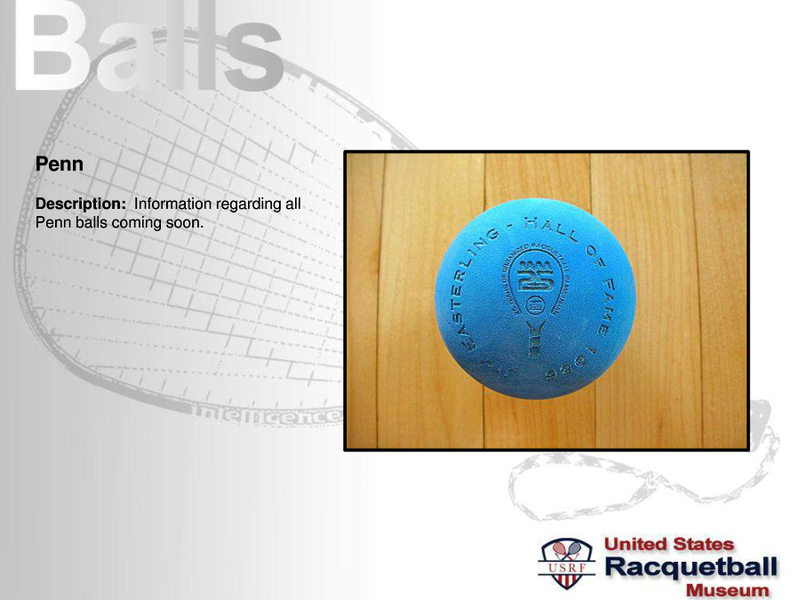 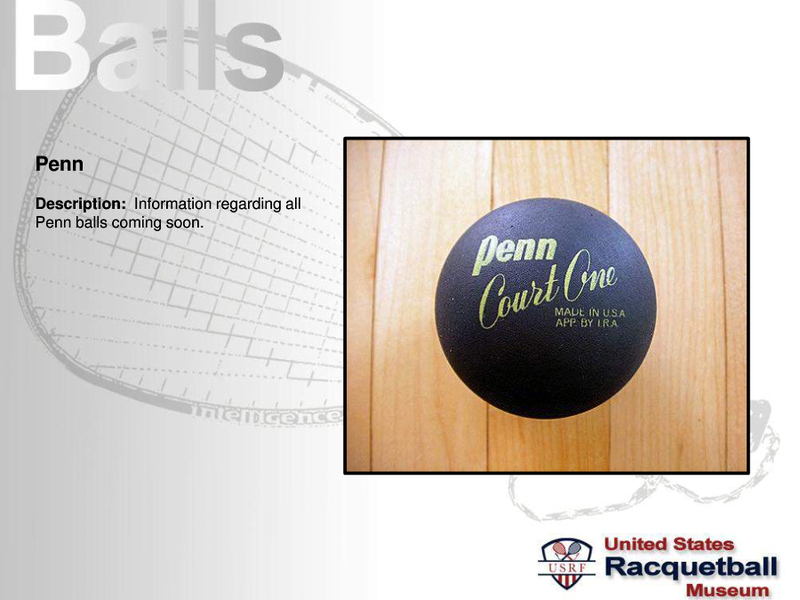 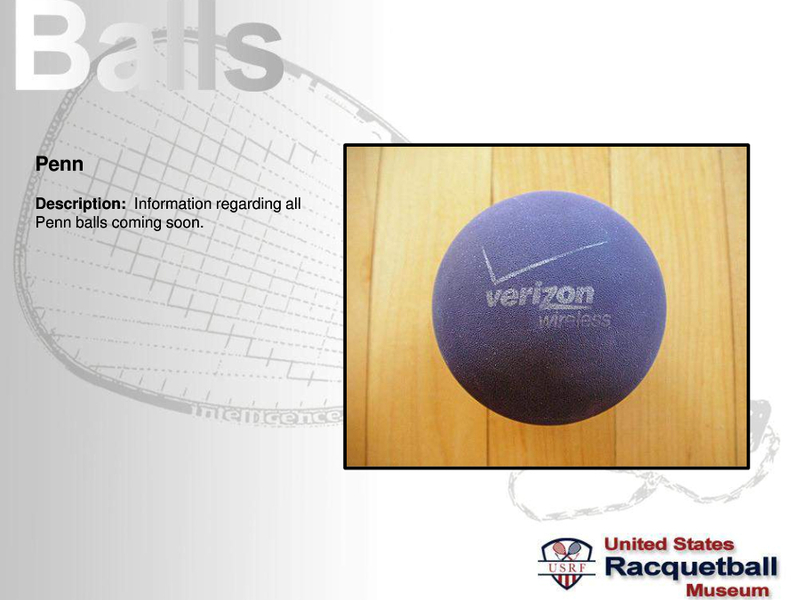 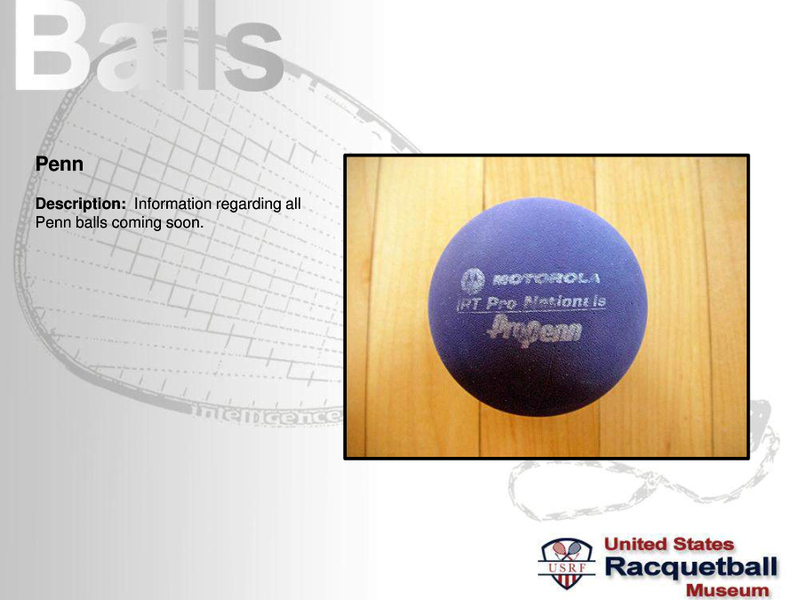 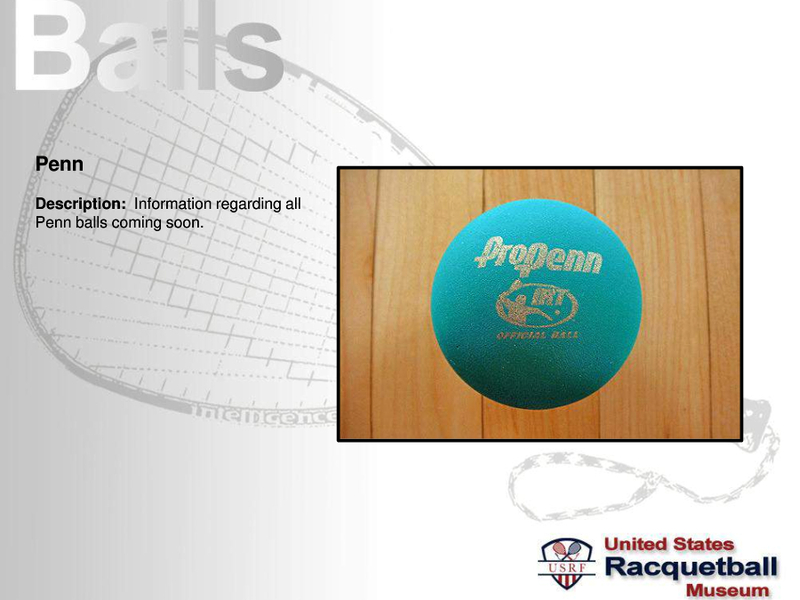 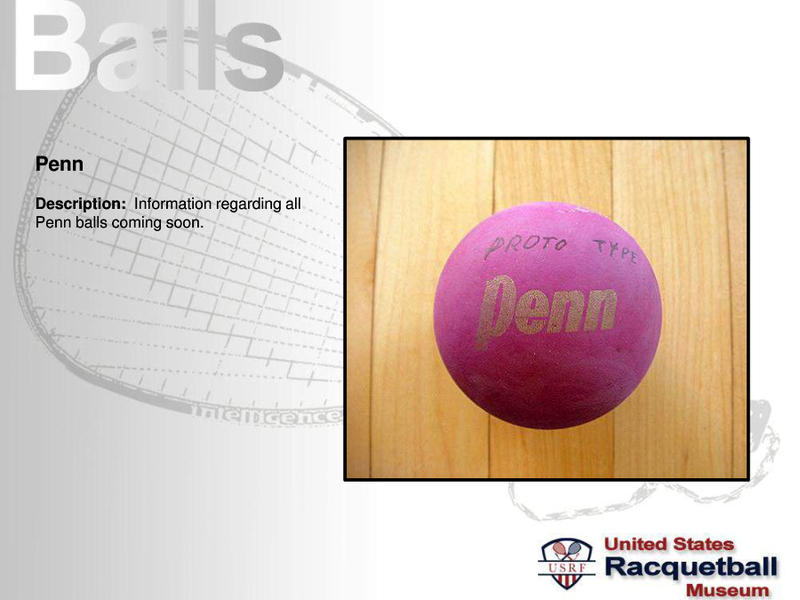 “For the last three decades Penn has been the dominate ball for racquetball. 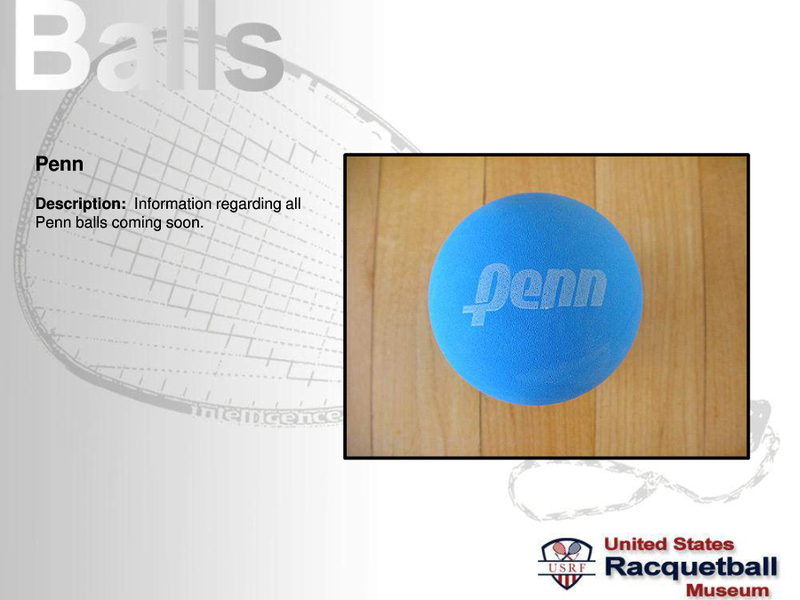 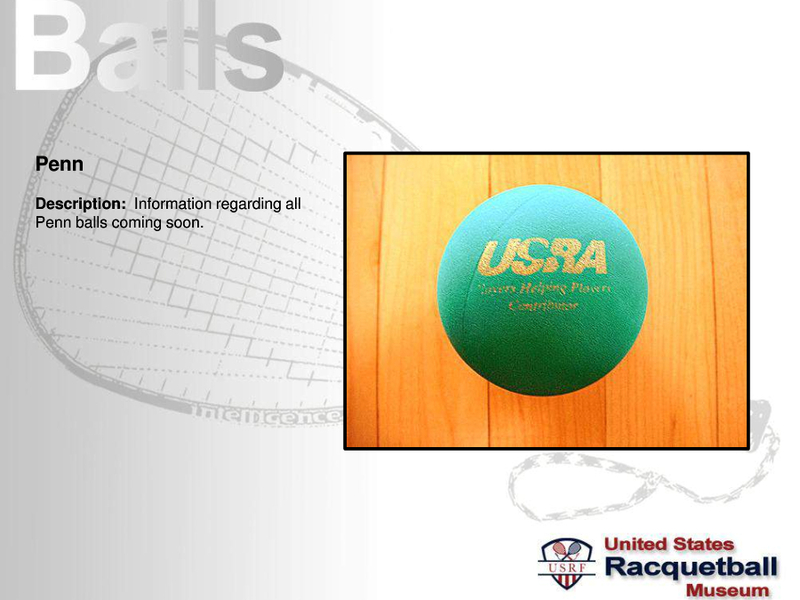 Since 1984, Penn has been the official ball of the IRA, USRA, and the USAR. 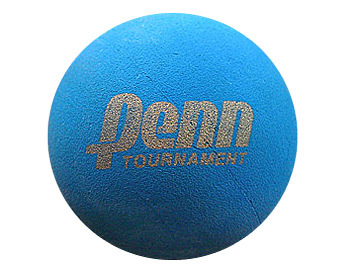 Penn has introduced many different types of balls all varying in color, bounce, and weight. 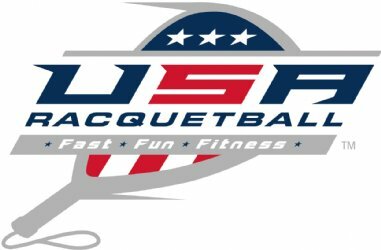 They continue to be in the forefront of ball development, product packaging, marketing, and major tournament sponsorships.